No. 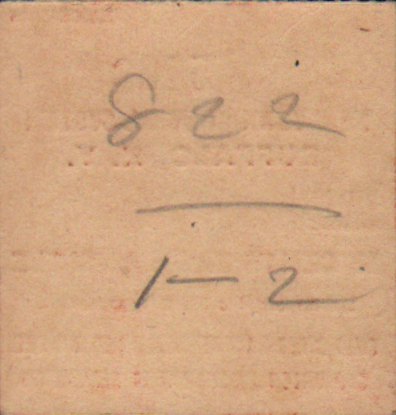 B 5438 10 cents - Buffalo, N. Y. 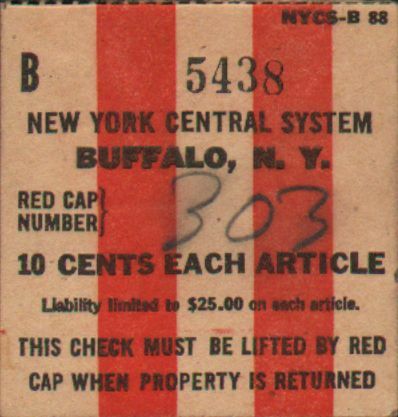 Description New York Central System Railroad (NYC) Receipt for Red Cap Number 303 at Buffalo, NY. 10 cents per item with a limit of $25.00 liability on each article.